Test your reaction time. Understand the path of the neurons to carry out this task. Explain to students that they will be measuring how fast their neurons can transmit information in this activity. They will be their neurons that allow them to see and neurons that contract their muscles, as well as neurons that send messages between these two processes. Give each pair of students a ruler. Demonstrate how one student rests their arm on the edge of a table their hand hanging over the edge, and holds their thumb and index finger a couple of cm apart. The other student of the pair holds a ruler so that the 0cm mark is between the thumb and finger. Without warning, the ruler is dropped and the partner closes their fingers on the ruler to stop it as quickly as they can. Students should record the catch distance each time, doing 10 trials before switching roles with their partner. Ask students to find the mean of their data, and record their average catch distance. Hockey goalies, and other people in high-speed sports need to have very fast reaction times. 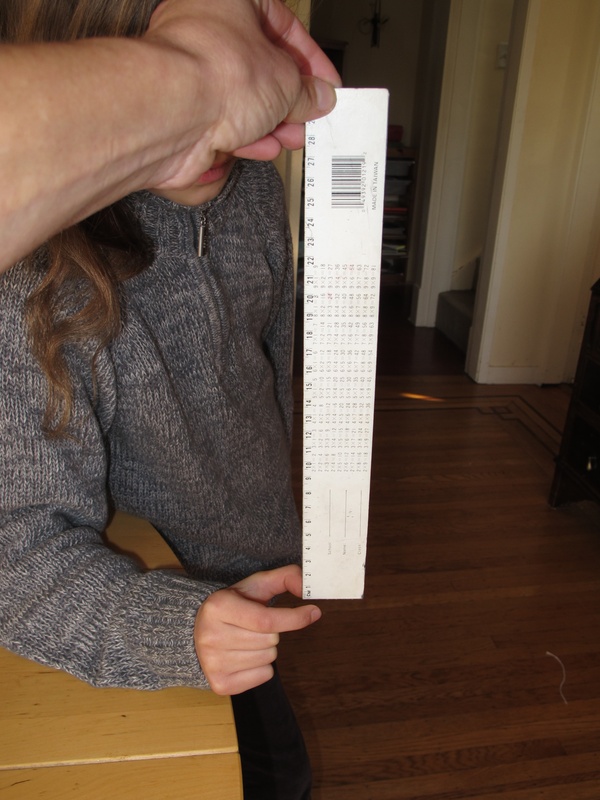 They would be able to catch the ruler at about 11cm, giving a reaction time of 0.15 seconds. Some students might have reaction times this fast, but most will fall between 15cm and 20cm (reaction times from 0.18 - 0.2 seconds). With our rulers, our students got average catch distances of 10, 23, 19, 15, 10, 16, 18, 18cm. Discuss how with any reaction time, it is amazing how fast the processing happens. Show image of pathway, then trace pathway on a real brain if possible: the eye sees the ruler drop and a message is sent along a neuron to the thalamus in the centre of the brain, from which another neuron sends a message to the visual cortex. Once the image of the ruler dropping is perceived, there is a signal to close the fingers, down one neuron from the motor cortex to the spinal cord. Then a second neuron all the way from the spinal cord down the arm to the finger muscle. Then the finger muscle contracts. All this takes milliseconds. The slowest part is the message passing between neurons; the neurons themselves transmit the electric message very fast.